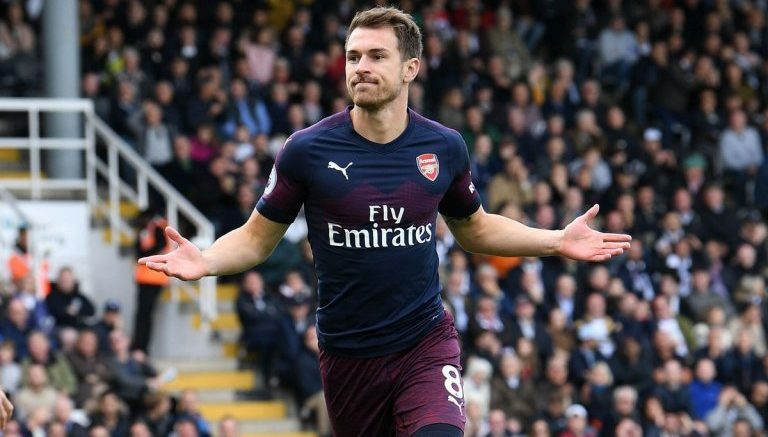 Former Arsenal defender Lauren believes that West Ham should make an approach for wantaway Gunners tar Aaron Ramsey. The 27-year old Welshmen is soon set to depart from the North London club, with his deal at the club set to end next summer after a four-year extension was withdrawn back in September. Since then, a plethora of teams have begun to line up in the hopes to lure Ramsey away from the Emirates Stadium, with Bayern Munich reportedly the favourites to get the deal done. However, member of the Gunners Invincibles’ squad Lauren believes that Welshmen should stay in the capital, with the Hammers is a perfect fit for his signature. Be the first to comment on "Sky Sports: Arsenal £110,000-weekly star to join direct PL rivals in January"